The LIHEAP subsidy component provides assistance to all eligible households with home heating costs. Applications must be made during the period of November through December each year. Applications are taken in alphabetical order based on the first letter of the head of household’s last name. The benefit amount that a household receives will be based on a level of poverty and the type of fuel used for heating. Those households with the lowest incomes that use the fuel with the highest heating season costs will receive the highest benefit. All eligible households will receive a benefit. Benefits will be in the form of vouchers made payable to the household’s primary or secondary heating fuel vendor. Your most recent heating bills or verification from your landlord that the heating expenses are included in your rent. Social Security Card or Permanent Resident Card for everyone living in your household. Proof of your household’s income for the preceding month. 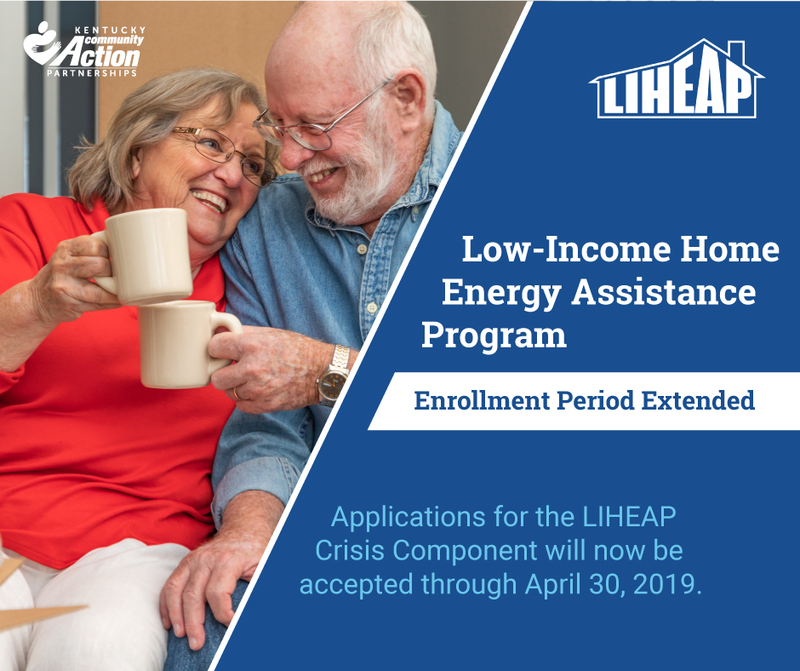 The LIHEAP crisis component provides assistance to all eligible households experience home heating crisis. Applications must be made during the period of January 7, 2019 through March 29, 2019 or until available funds have been expended. Benefits are limited to the amount necessary to relieve the crisis with the maximum amount not to exceed the community action agency’s local cost for a deliverable supply of household’s primary heating fuel or $400 for natural gas or electric. Benefits may take the form of fuel deliveries, service reconnection, blankets or sleeping bags, loan of space heaters and emergency shelter. Crisis relief will be provided within 48-hours or 18-hours, if it’s an emergency. Proof of all household income for the preceding month. For natural gas or electric, must bring a disconnect/past due notice (example: past due notice, termination notice, final notice). Applicants whose rent includes heat must bring an eviction notice from the landlord. Must be within 4 days of running out of fuel if wood, coal, propane, fuel oil or kerosene is the heat source or a disconnect/past due notice has been received from the vendor (example: past due notice, termination notice, final notice). Crisis applicants who participate in a Pre-Pay Electric Program would be eligible if they are within 10 days of running out of pre-paid electric services. If energy costs are an undesignated portion of rent, an eviction notice is required.